Relive the story of Sun Wukong on The Monkey Prince Slot at Wicked Jackpots! This 5-reel, 60-payline game by IGT is playable on your laptop, smartphone or tablet. The bright colours and high-end graphics invite you to an Asian setting which dates back to the Song Dynasty in China. Meet an exceptional character which you must have seen in movies like The Forbidden Kingdom, A Chinese Odyssey or The Monkey King. You can also find him in ancient Chinese legends. On the game, enjoy his company while spinning the following symbols on the reels; Yellow, Blue and Red Masks, together with Lions, Dragons, 4 kinds of Jewelleries, A, K, Q and J. Join the Monkey Prince for some action on The Monkey Prince Slot! But first, pick one of the betting amounts using the + and – signs on the Total Bet tab. Press the Spin button to launch the 5 reels. With combinations of at least 3 identical symbols, you can expect a payout. Apply the Auto Play option if you want to enjoy several automatic rounds which do not require any intervention. Bet Levels: Bet levels are absent on The Monkey Prince Slot. Amount of Paylines Selection: The 60 lines are all active during each game. Coin Values: Go for stake amounts ranging from £0.60 to £1200.00. 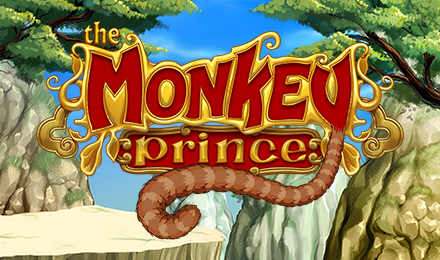 Let the Monkey Prince guide you to the fantastic game features on The Monkey Prince Slot! Fill the meter for each mask completely with an identical symbol to activate one of the Wild features. For instance, 5 of the Yellow Masks trigger the Surrounding Wilds Feature which substitutes for a random position, with any other symbols turning into Wilds. With 5 Red Masks on the reels, get ready for the Random Wild Reels Feature! During the round, 1 or 5 reels fully become Wild. Land 5 Blue Masks on the reels of The Monkey Prince Slot to enjoy the Scattered Wilds Feature. While it is active, 3 or 4 random symbols in any position are converted into Wild. Surrounding Wilds: When 3, 4 or 5 scattered symbols appear, 5, 10 or 15 free spins together with 1 Random Wild are awarded. Plus, the surrounding positions are converted into Wilds on every spin. Random Wild Reels: Three, four or five scattered symbols make you earn 10, 15 or 25 free spins, as well as up to 5 Wild reels on each spin. Scattered Wilds: If 3, 4 or 5 Scatters land on the reels, 25, 30 or 50 free spins and up to 4 Wilds are awarded per spin. Explore the abode of the Monkey Prince by launching The Monkey Prince Slot at Wicked Jackpots. Wish you the best of luck!